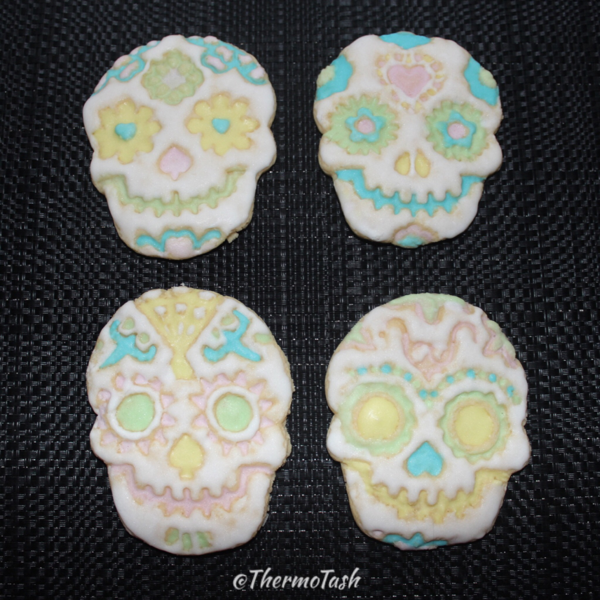 As I mentioned in my Macadamia and Parmesan biscuits post I am slightly obsessed with sugar skulls. 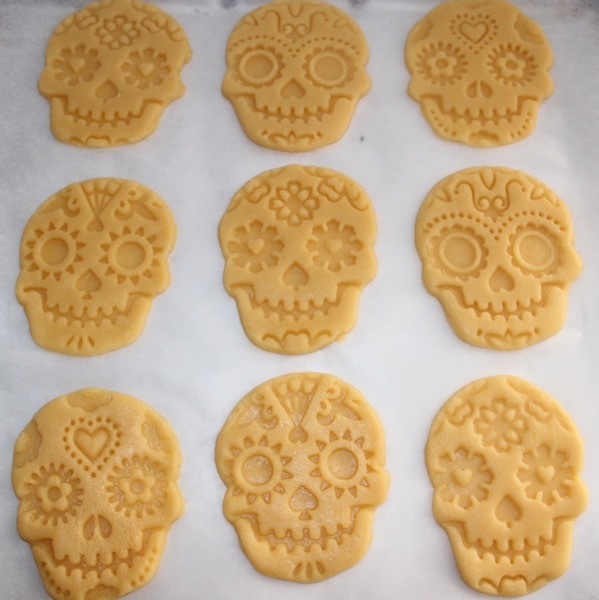 Years ago I bought this sugar skull cookie cutter set from a gift shop in Leederville. 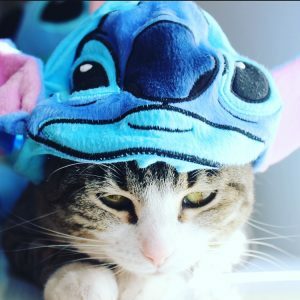 You get buy them online here. 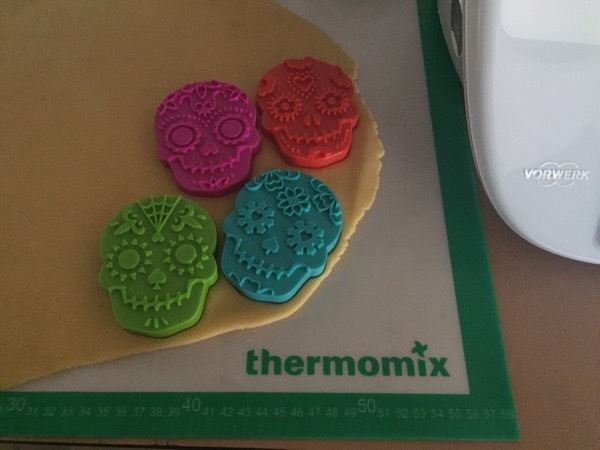 I came across the cookie cutter set again when I was looking for my sugar skull cookie stamp so of course I had to make sugar skull cookies as well! 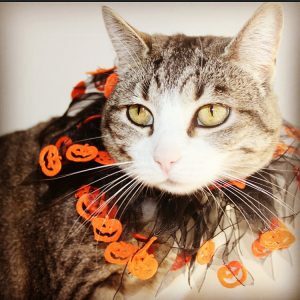 How else can you celebrate Dia de los Muertos (the Mexican Day of the Dead)! 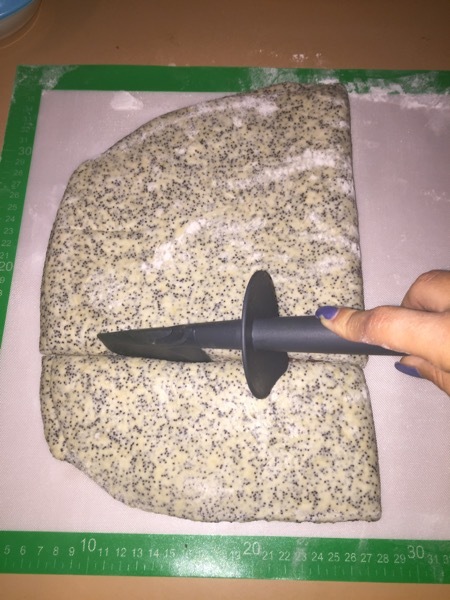 I hopped onto the Recipe Community and searched for a sugar cookie recipe. 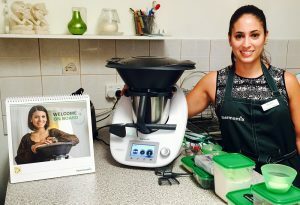 I chose the Thermomix in Australia because it looked the easiest. Click here to view the recipe. I rolled out the cookie dough onto my ThermoMat and started cutting my skull shapes out of the dough. 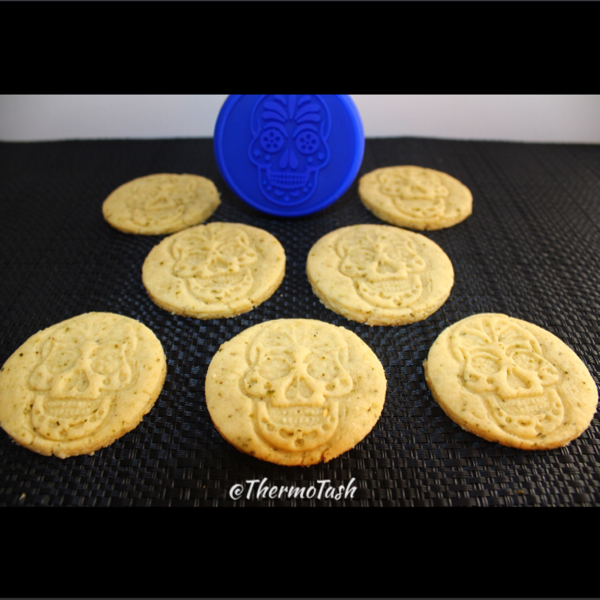 Once I had them all on my prepared baking tray I started stamping them with the other side of the cookie cutter. I made sure I pressed firmly and evenly to ensure the whole design was stamped into the cookie. I was so happy with how they looked even before baking them for about 10 minutes. I still had royal icing left over from making my ginger-dead biscuits so I divided it up into 5 bowls, reserving a bit more in the one bowl that I wanted to keep white. With the 4 remaining bowls I added a drop of food colouring and half a teaspoon of warm water to make it a bit runnier. I then handpainted my designs with a set of thin paintbrushes. I could have piped it but I didn’t want to have to wash my piping bag inbetween colours and also had a steadier hand using the painbrush. I even found it quite relaxing 🙂 Move over colouring books for adults, this can be the next trend! 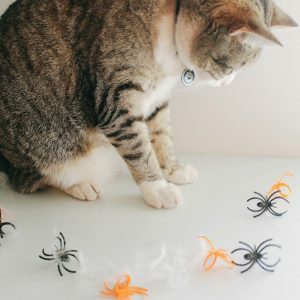 As I mentioned in my previous post I love Halloween and have been busy whipping up Halloween treats but that doesn’t mean ThermoCat missed out on any of the fun. 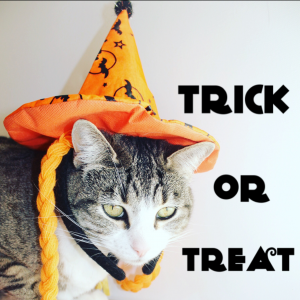 If you have been following her on social media you would have seen the fun we had but if not here’s what ThermoCat got up in the lead up to Halloween! I followed the recipe using the Everyday Cooking for Thermomix Families TM5 recipe chip and whipped the perfect egg whites. After mixing in the sugar I transferred the mixture into a piping bag and piped small meringues onto my prepared tray. I baked them for 3 hours and tested they were ready by tapping the bottom and checking for a hollow sound. I turned off the oven and left them to cool in the oven for about 2 hours. 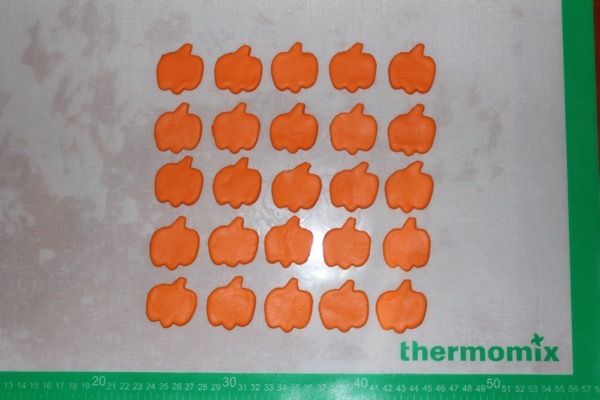 Don’t have the Everyday Cooking for Thermomix Families TM5 recipe chip? Contact your consultant or purchase your copy here. 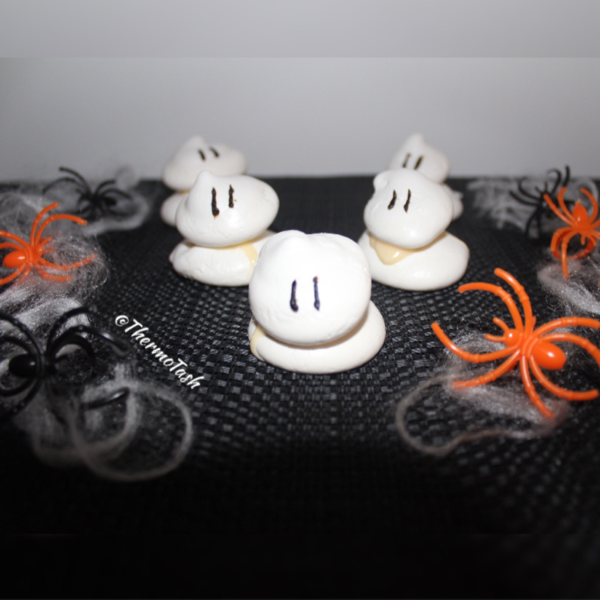 I made a batch of fondant pumpkin toppers when I made Spiced Pumpkins Cupcakes with Cream Cheese Frosting. I had plenty left over so I figured why not make some chocolate cupcakes! 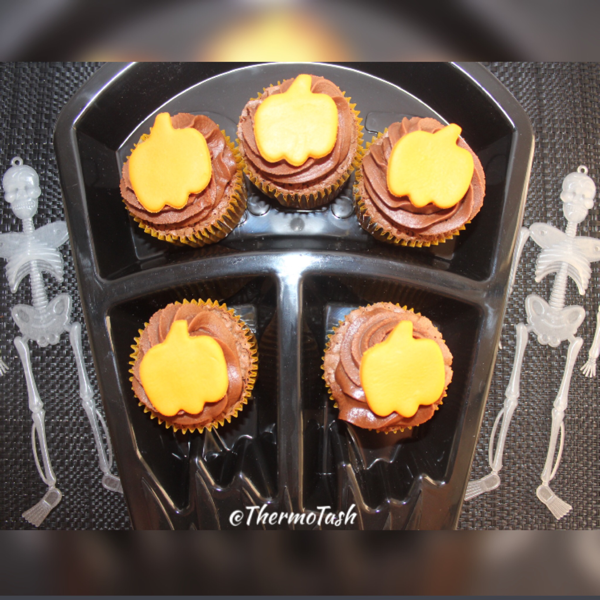 This was the perfect chance to try the chocolate cupcake and dark chocolate frosting recipes from the Everyday Cooking for Thermomix Families TM5 recipe chip. I’m so glad I did because this is now going to be my new signature chocolate cupcake recipe. The recipe for the batter only needs butter, dark chocolate, raw sugar, eggs, plain flour and baking powder. I love baking with such basic ingredients! Once I had made the batter I filled each cupcake liner with a 1/4 cup of the batter. This was the perfect amount as they rose to be just in line with the cupcake liner. Perfection! You can find the recipe for the cupcakes on page 212 and the dark chocolate frosting on page 168 in the Everyday Cooking for Thermomix Families TM5 cookbook. Don’t have the cookbook? Contact your consultant or purchase your own copy here. I was flicking through the Cooking for Me and You cookbook and came across the recipe for Spiced Pumpkin Mini-Loaves with Cream Cheese Frosting. 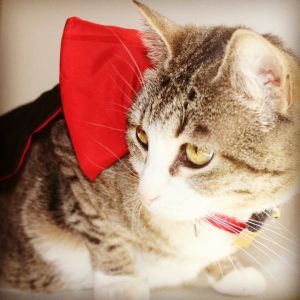 I had to use this recipe for Halloween! I followed the recipe on the recipe chip but instead of baking in mini loaf trays I baked them in a cupcake tray. 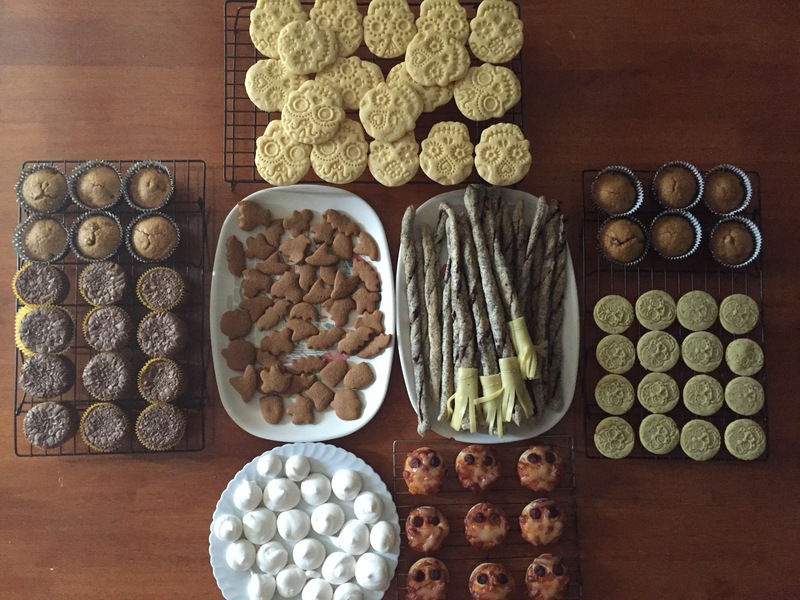 This recipe made 12 cupcakes. While waiting for the cupcakes to bake I pulled out my orange fondant (leftover from making a safari cake for my nephew) and rolled out a palm sized amount. 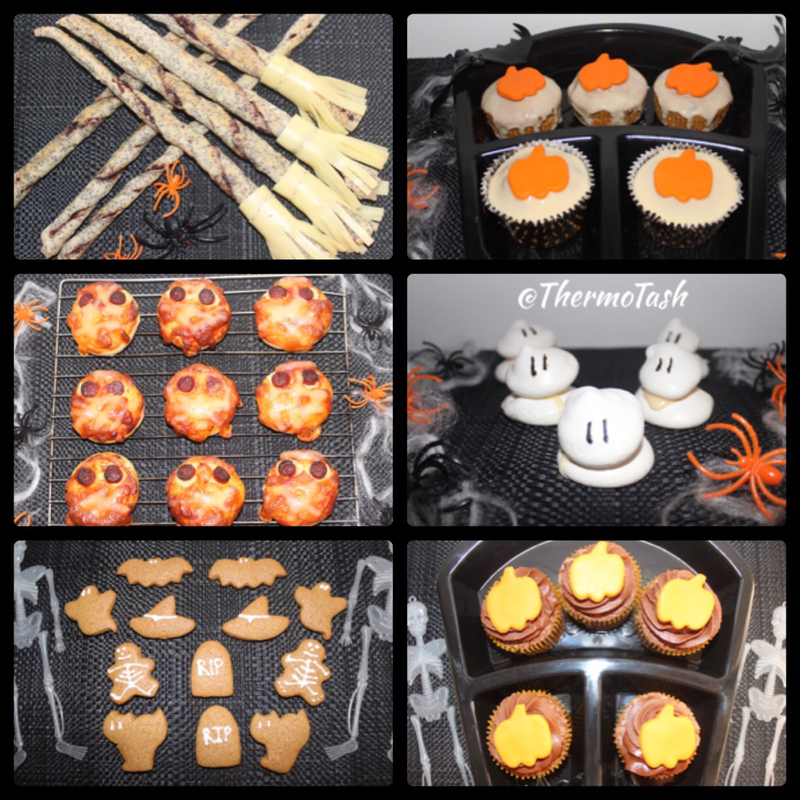 I used the pumpkin mini cookie cutter from my Halloween set and cut pumpkin shapes out of my fondant. I left the pumpkin shapes out to harden a bit and then I made the cream cheese frosting from the recipe. Don’t have a copy of the Cooking for Me and You cookbook? Contact your consultant or purchase your own copy here. I just love Halloween and I love gingerbread biscuits. 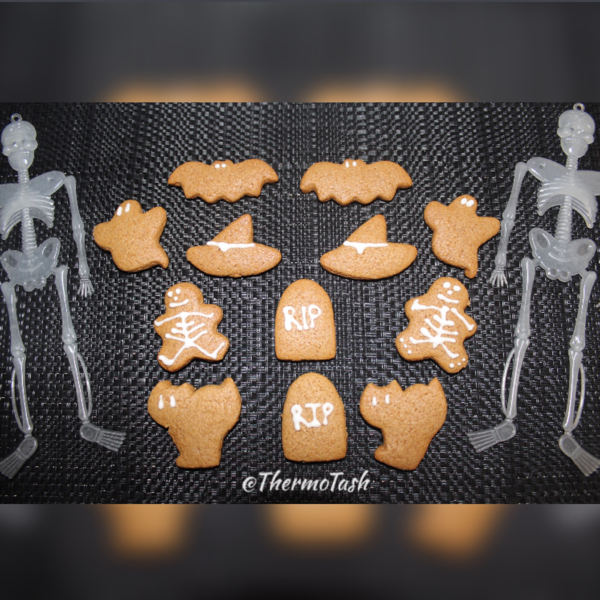 I decided to put a Halloween twist on this classic recipe from the Festive Flavours cookbook using my Halloween mini cookie cutter set. The recipe is made even easier to follow using the recipe chip and it’s makes the perfect dough. I wrapped the dough in plastic wrap and placed it in the fridge to chill for about an hour. 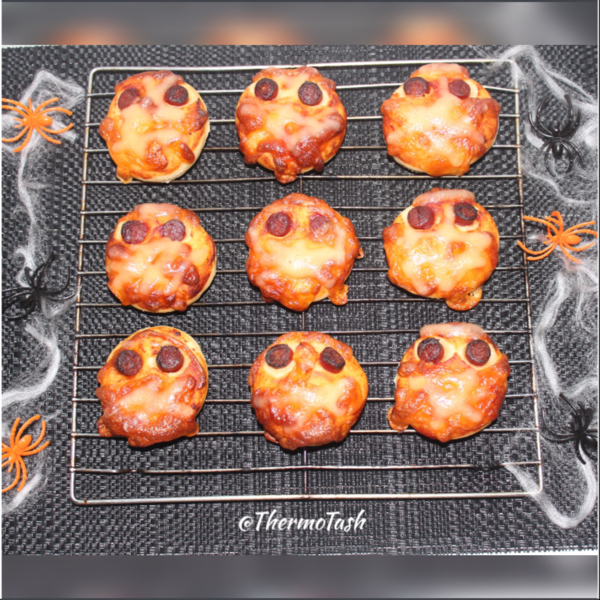 The chilled dough is so easy to work with and I had fun choosing my shapes with my cookie cutters. The cookbook also had a great tip to pierce holes in the cookie if you want to use them as gift tags or Christmas decorations! 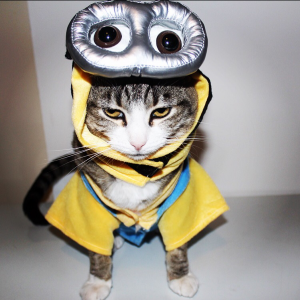 But back to my Halloween theme. After baking the biscuits and leaving them to cool completely, I made the royal icing. Using a piping bag with a thin nozzle I started decorating my biscuits. This was the easy part because I was sticking to simple decorations. And I think keeping it simple really makes these ginger-dead biscuits stand out! What do you think? 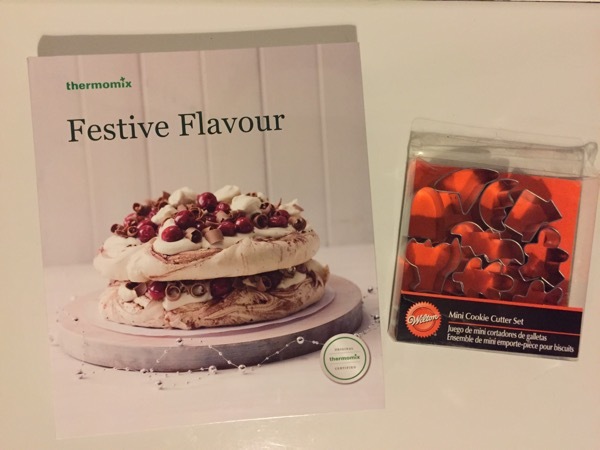 Want the new Festive Flavours cookbook and recipe chip? Contact your consultant or order online here. I couldn’t wait to make this recipe for Olive and Fennel Grissini from the new Festive Flavours cookbook because my hubby loves anything with olives in it. 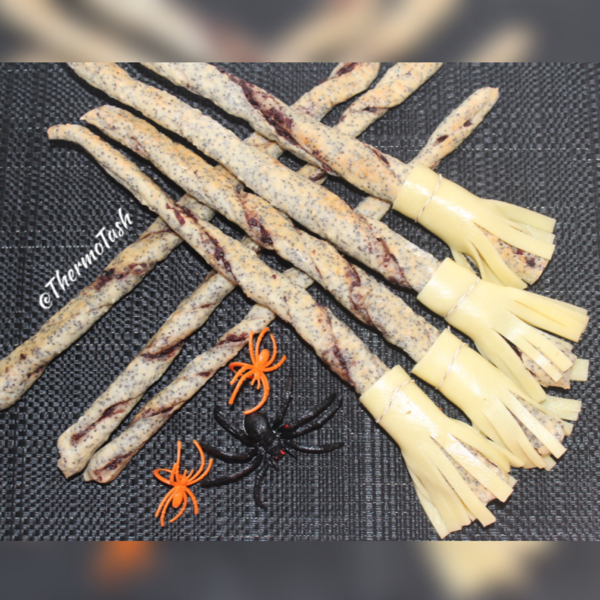 I was flipping through magazines for Halloween treat ideas and came across witches broomsticks made with breadsticks. The grissini would be perfect for this! You will need a packet of mozzarella cheese slices and cooking string or a bunch of chives. So I followed the recipe using the recipe chip and made the dough. When it came to actually making the grissini I used the cookbook because it had some easy to follow pictures for these steps. Because I had rolled out my dough onto my ThermoMat I used my spatula to cut the folded dough into strips. Never use a knife on your ThermoMat because any cuts will release the micro fibre in-between the silicone layers. After twisting the strips I popped them in the oven for 25 minutes at a time. I had to bake them in two batches. The recipe says to leave them in the over to dry out and cool completely for 2-3 hours or overnight. I left them overnight and in the morning they were ready for the finishing touches.